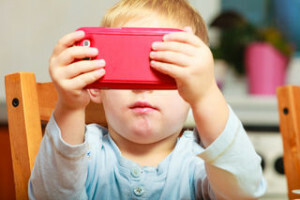 This is one of the best explained articles about what screen time really does to our childrens’ brains and the way they are (not) learning to problem solve. They struggle to complete tasks and have too little frustration tolerance to do so or even learn something from the specific task being at hand. Furthermore they also find it hard to make new plans and being creative at it. Some children also seem to give up in trying and finding a way to complete a task and this in effect also seem to affect their self esteem and thinking “I can not do this”. The thing is: Not everything gets done with the press of one button. Let’s all help our children to think of more than one way to do a task or play a game….even if it is just for the fun of it!